Singapore’s Changi Airport Group commissions major new experiential media features to enhance and entertain at different stages of the passenger journey. 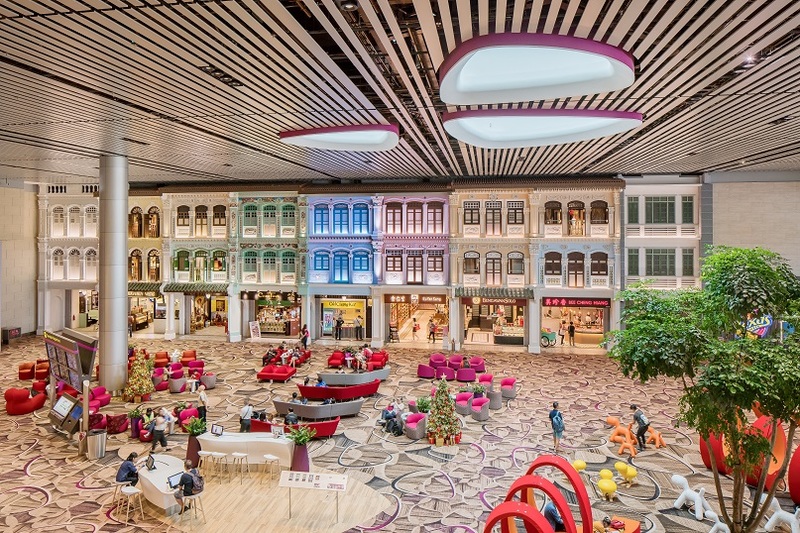 Singapore’s Changi Airport Group commissions major new experiential media features to enhance and entertain at different stages of the passenger journey. Changi Airport Group commissioned Moment Factory to collaborate on two media features designed to entertain passengers as they navigate the airport’s remarkable interior. Peranakan Love Story brings traditional Singaporean shop house façades to life at the heart of the airport’s Heritage Zone.